Helps control your blood pressure, weight, and cholesterol levels while helping you manage conditions and ailments such as diabetes, arthritis, and other bone and joint problems. Reduces the risk of a stroke, heart attack, and even some cancers. Some of the daily routine activities we engage in do not count. As such activities such as shopping, housework, and cooking do not count in your 30-minutes of exercising. They are not hard enough to break a sweat and raise your heart rate. 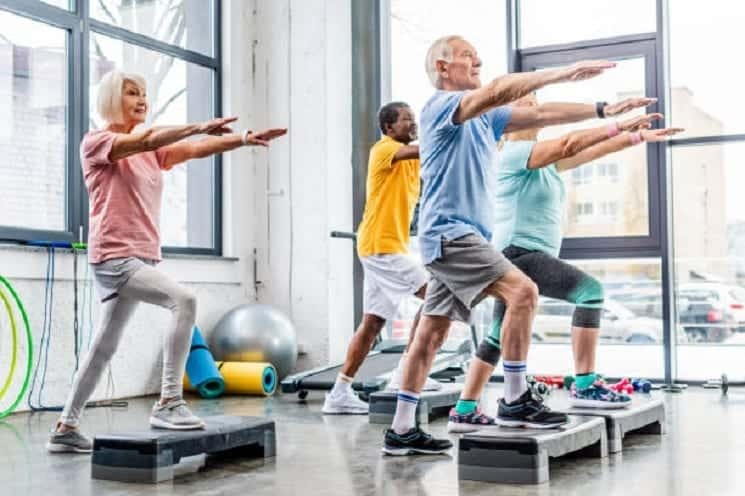 According to the Australian Physical Activity Guide for Older Australians, it is not recommendable for the elderly to exercise at this level a lot. If you have lived a life of vigorous exercising or physical activities, you can carry on keeping safety in mind. Importantly, follow the recommended procedure and guidelines. For the recommended activities, try to carry out 7 to 13 rep for a complete set. Furthermore, try and do a set that targets every muscle group. However, if you can do, 3 to 4 sets. Try to push on until you feel it is becoming very hard to carry on to gain from this type of exercises. For the best outcome, do strength exercises 2 to 3 times every week.